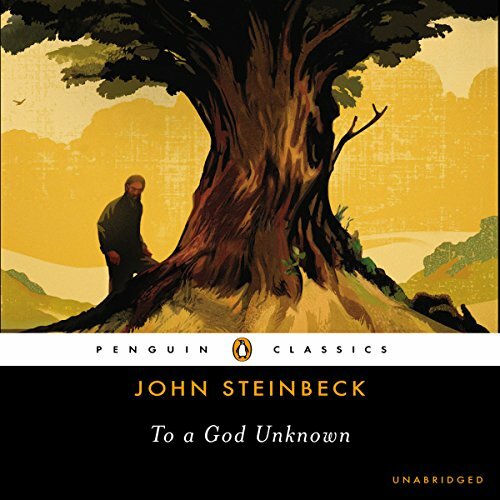 Around the same time that I selected Travels with Charley for my continuing introduction to John Steinbeck, I also selected To a God Unknown. Published in 1933, the book was Steinbeck's third publication (following Cup of Gold and The Red Pony). Despite not being one of the more widely read books by Steinbeck, the premise convinced me that I would enjoy it (more on this later). The short book follows the life of Joseph Wayne. A farmer on his dad's land, his desire for his own land leads him to California to establish his own homestead in a valley that suffered a drought in the not too distant past. 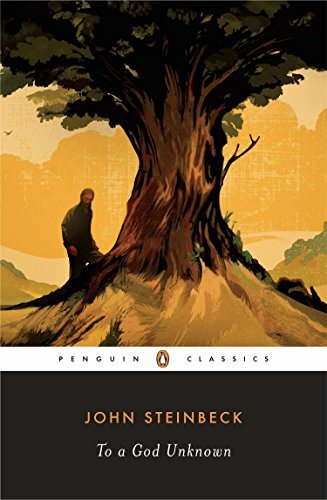 Without being direct to even the reader, Joseph begins a strange relationship with a specific tree on his property. This relationship becomes something more when Joseph convinces himself that the spirit of his father has followed him to California and inhabited the tree. In the midst of Joseph's strong connection to the land, his brothers and their wives move out to increase the family homestead. Joseph himself also takes a wife perceiving it to be the natural life-giving role for the head farmer. This obsession with the land puts Joseph out of sync with the lives of those around him and eventually, his "paganistic relationship" to the tree upsets his Christian family. Both of Joseph's obsession paint him as an enigmatic Adam and Christ type figure. Steinbeck's own obsession with land is evident throughout in his glowing descriptions of it. Through Steinbeck, one can almost feel the anguish of Joseph in the midst of the book's trials. Along the way of this central theme, there are paths of love, lust, and sacrifice that interweave Christian and mythological symbolism. These disconnected themes come together in the final chapters as the full—perhaps even eschatological—scope comes into view. In retrospect, many of these themes reminded me of a thinner more precise East of Eden. As with East of Eden, I felt like the dialogue of the book was terse and wooden. Nonetheless, something about the tone of To a God Unknown made it less of a distraction. The reading of Jonathan Davis won't be winning any awards. The almost monotone reading of To a God Unknown fits the story but does little to liven up the wooden dialogue. Still, there is something ironically appropriate in the de-passioned reading of Joseph Wayne's own internal thoughts and conflict. While the experience was fine I look forward to reading the book on my own next time. In conclusion, To a God Unknown was one of the more curious and disorienting books that I've read this year. Even looking back it is a strange book, but I thoroughly enjoyed it and felt the entire book was made better by its conclusion. This is a book I want to own and digest slowly. I have high hopes that it will become one of my favorites.